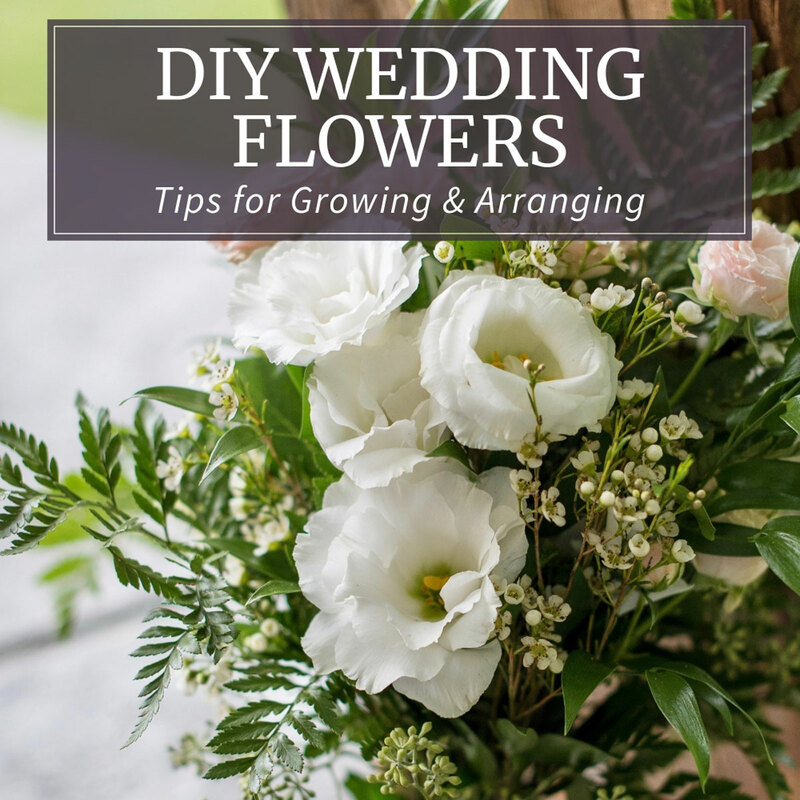 Are you considering growing and arranging flowers for an upcoming wedding? Taking on a DIY wedding flowers project is not for the fainthearted, but it can be loads of fun as long as you know what you’re getting into. This overview will help you think about all the ins and outs, from flowers, greenery and other supplies to the budget and schedule. Flowers have an important role in almost every wedding and the cost can add up fast. Even a modest event can be $3000-$5000, with big weddings running $10,000 and up. To get a sense of the scope of the project, work with the couple to create a list of every flower-related element including wedding party bouquets, corsages and boutonnieres; entryway, aisle and ceremony decorations; dining table, bar area and buffet table arrangements. Your next task is to come up with a rough budget. 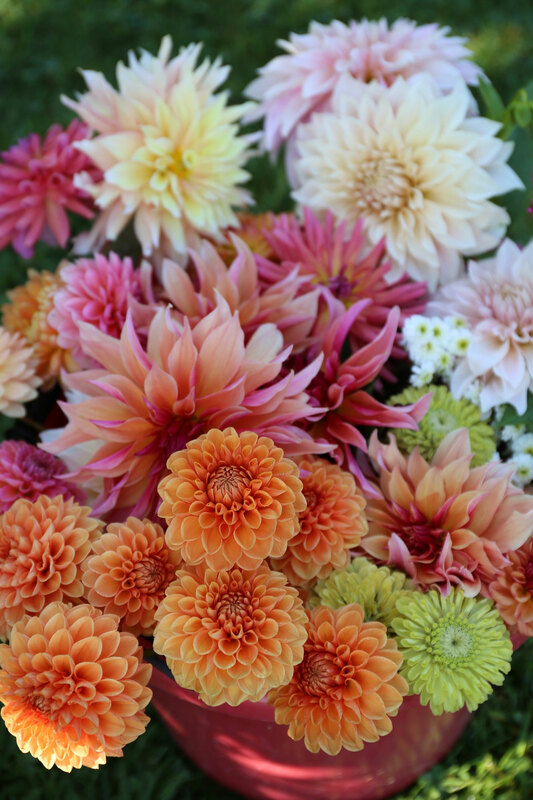 In addition to homegrown flowers, you will also need: greenery and other fillers, specialty flowers, vases, floral preservative, floral foam, tape, ribbons, etc. It’s easy to underestimate the number of flowers you will need. To get a sense of the bare minimum, figure 20 stems for large table arrangements and 8 for small ones; 20-30 stems for the bridal bouquet and 12-20 for each bridesmaid; 2 stems per boutonniere and 3-4 for a corsage. 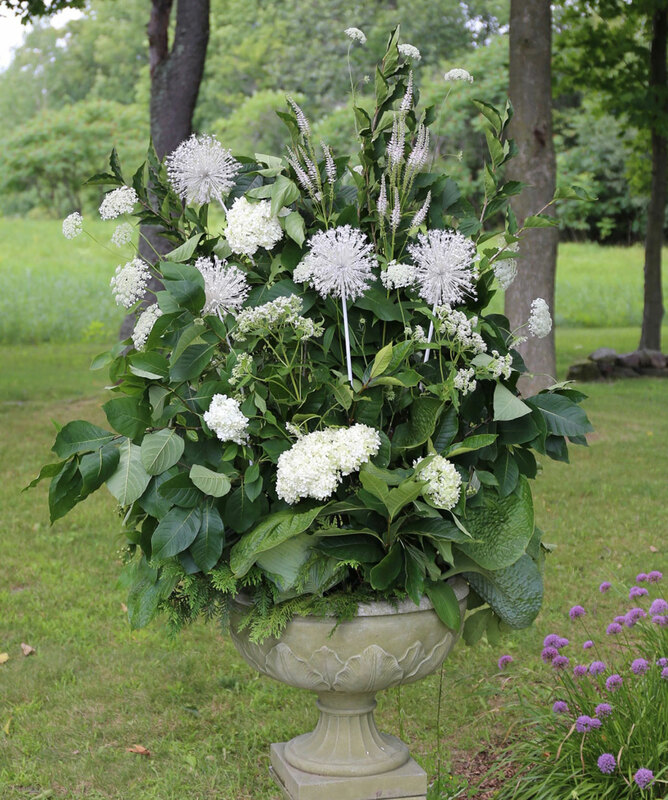 Large arrangements for the entrance or ceremony can easily consume 30-50 stems each. For every 10 stems of flowers, you should also plan on having at least 5 stems of greenery. Weddings require a lot of plant material. If you don’t already operate a cut flower farm, you probably won’t be able to produce everything that’s needed. But that’s not a problem. 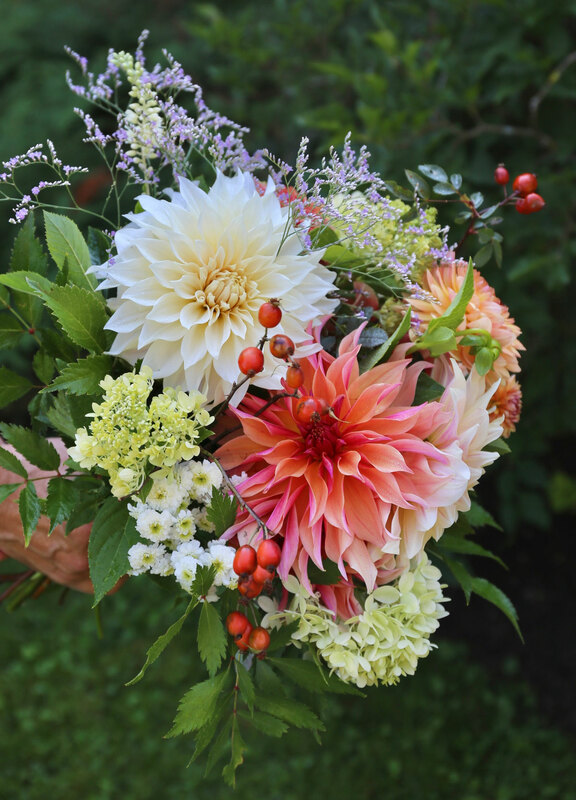 Homegrown flowers can be supplemented with buckets of blooms and foliage purchased locally or from an online retailer. For those flowers that you grow or cut yourself, be sure to read up on how to condition cut flowers. Make sure that you understand the couple’s vision for color and style. Does the bride want a small and simple bouquet or something large and loose? Pinterest can be an incredibly useful tool for getting everyone on the same page. To save money, feature flowers that will be in season at the time of the wedding (see suggestions below). These can be grown at home or be purchased from a local flower farm. 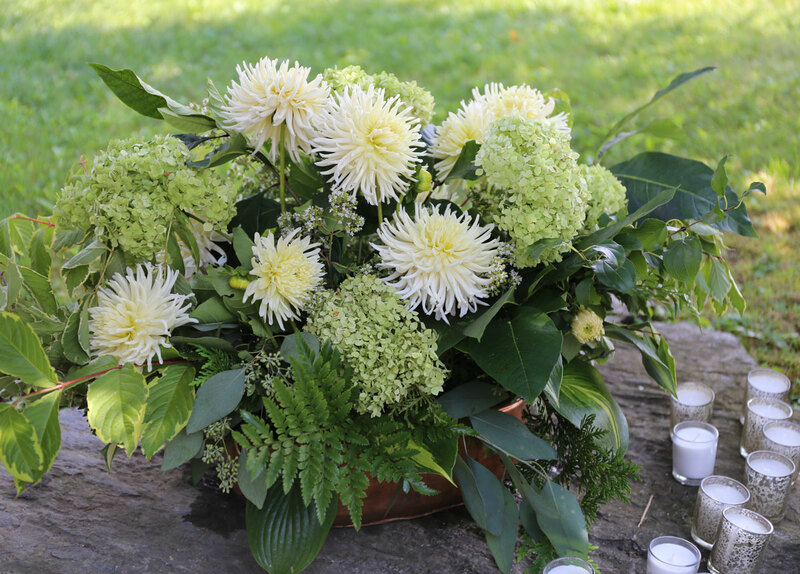 If the wedding requires out of season or specialty flowers such as gardenias, orchids, roses and anemones, you can buy them from a wholesale vendor such as fiftyflowers.com or wholeblossoms.com. These companies welcome DIY weddings customers and are quite reasonably priced. Be sure to check availability as not all flowers are available all the time. Spring. Daffodils, tulips, hyacinths, bleeding heart, lilac and other flowering shrubs. Hellebore, lily of the valley, alliums, primroses. Early Summer. Peonies, bearded iris, alliums, Asiatic lilies, lupines, foxgloves. Roses, spirea and other flowering shrubs. Midsummer. Sweet peas, astilbe, Queen Anne’s lace, cosmos, clematis, phlox. Larkspur, delphinium, daisies, stock, hybrid lilies. Bachelor buttons, zinnias, snapdragons, ageratum. Scabiosa, verbena, coreopsis, lavender, oregano and other herbs. Statice, yarrow, clary sage, nigella, orlaya. Late Summer and Early Fall. Dahlias, hydrangeas, calla lily, Oriental lilies, gladiolus. Lisianthus, larkspur, scabiosa, zinnias, cosmos, sunflowers. Rudbeckia, snapdragons, asters, orlaya, ageratum. Gomphrena, nigella, chrysanthemum, verbena. Roses, amaranth, statice, celosia, clary sage, ornamental grasses, strawflowers. Greens and Fillers to Grow at Home. Matricaria, ammi, bupleurum, bells of Ireland, baby’s breath. Euphorbia marginata, mignonette, honeywort, lady’s mantle. Hosta, dusty miller, baptisia, mint, sage, rosemary, dill. Greens to Forage. Boxwood, holly, ivy, dogwood, juniper, magnolia. Hydrangea, cotinus, cedar, physocarpus, pittosporum. Daphne, winterberry, olive, willows. Fringetree, ferns, astilbe, grasses, herbs. 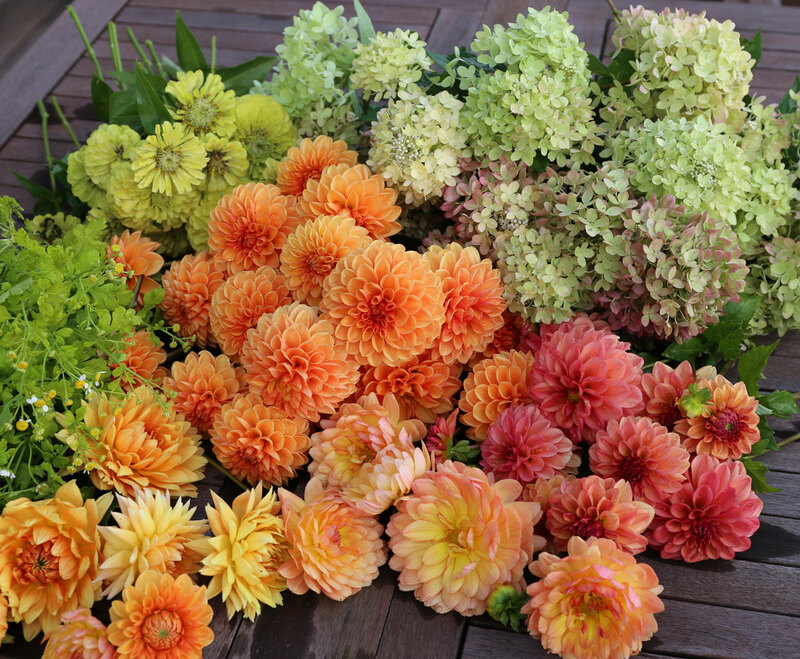 Greens and Fillers to Buy from a Flower Farm or Online Retailer. Salal/lemon leaf, seeded and silver dollar eucalyptus. Myrtle, leatherleaf fern, heather, ruscus, ivy. Camellia, wax flower, feverfew, baby’s breath, hypericum. What About Containers and Accessories? Every wedding has a style of its own, and containers play a big role in expressing that style. 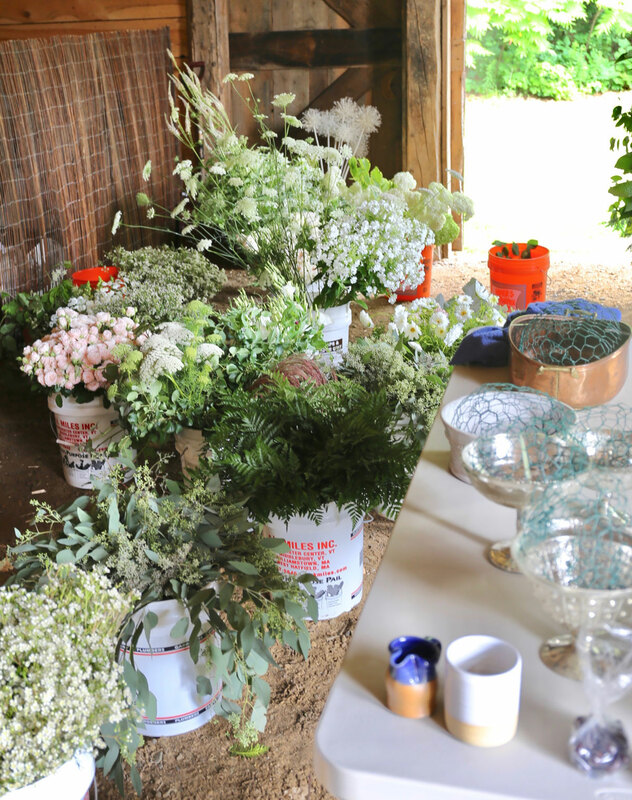 Is the bride’s vision farmhouse rustic with milk cans and sap buckets? Boho-chic with colored glass and beads? Italian Renaissance? Cool and contemporary? Start collecting vases, urns and other necessary supplies early on. 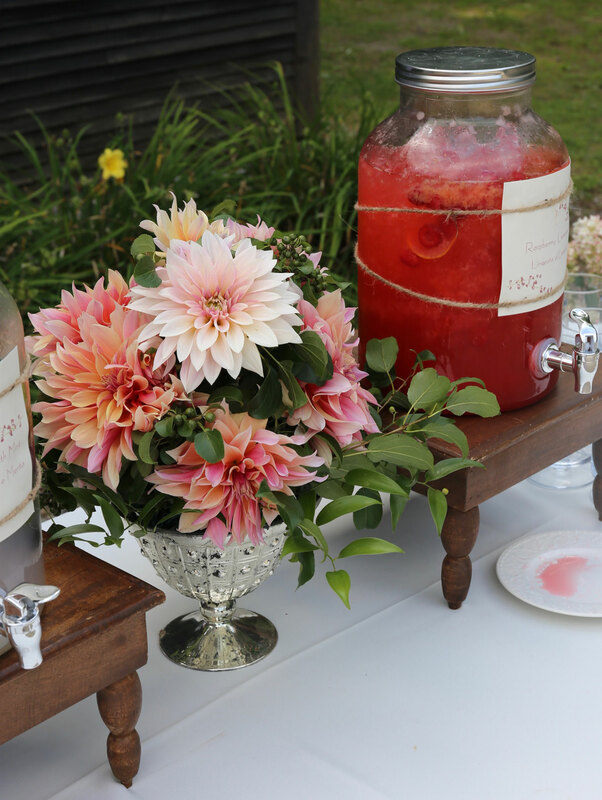 Most weddings require at least a few large arrangements, and it’s important to find suitable containers. Michaels and IKEA usually have a good selection of vases at very reasonable prices. All containers should be water-tight and heavy enough at the base not to topple if someone bumps a table or the wind comes up. Other equipment you may need: buckets for storing cut flowers, plastic bins or boxes for transporting table arrangements, floral preservative, floral wire and waterproof floral tape, chicken wire or floral foam, ribbons, stick pins, pruners and scissors. Who Is in Charge and Who is Helping Out? With such a big project and such a very important day, it’s best to have one person in charge of the flowers. Timing is critical and weddings don’t have much of a margin for error. If that’s you, it will be your responsibility to make sure every element is ready and in position at least an hour before the photos begin and the guests arrive. If you are the DIY wedding flowers maestro, you need to understand the couple’s aesthetic vision and know about every element that’s required. This will include sourcing, timing, ordering and tracking all of the materials, from flowers, foliage, buckets and vases to floral foam, ribbons and boutonniere pins. You also need to be certain exactly when the flowers will be delivered and make sure they can be kept cool. A comfortable, weather-proof workspace will need to be set up, with tables, room to spread out and permission to make a mess. Finding reliable help is essential. Lastly, the finished arrangements will need to be kept cool (a refrigerator is ideal) and be delivered intact and on time. 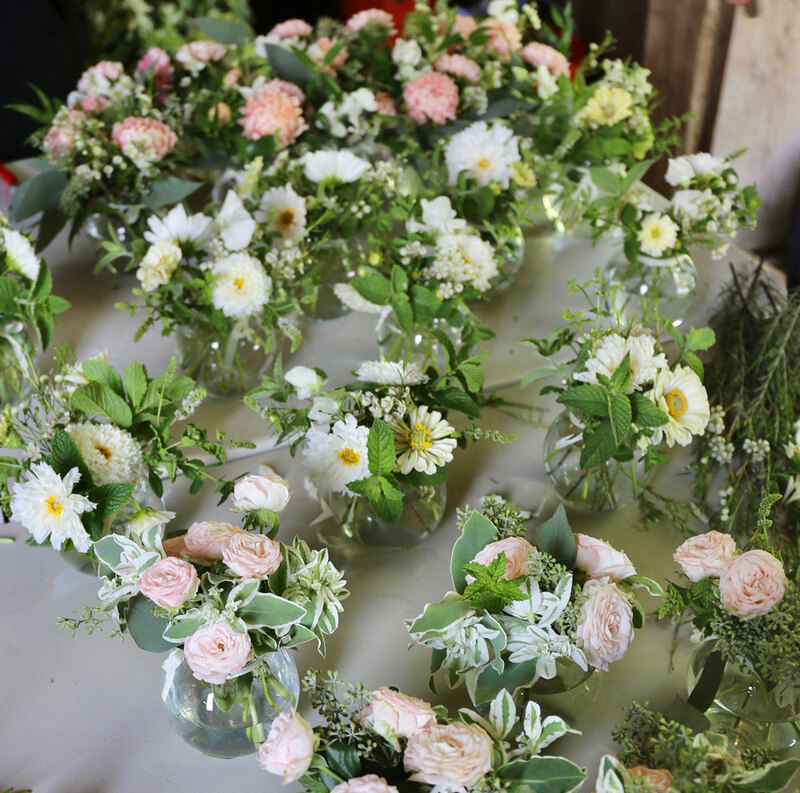 As fun as it sounds to grow and arrange wedding flowers, it is a very big job. Think carefully about which parts you feel comfortable doing and consider giving the rest to a professional floral designer. Your most valuable contribution will be helping to make the day as beautiful and stress-free as possible for the happy couple!